My entry for the Michael Miller Quiltcon Challenge!! 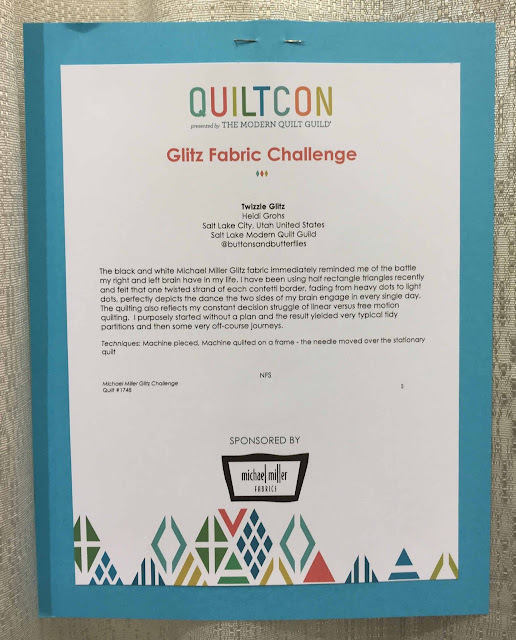 My friend Jen from Quilter in the Closet had entered into one of the challenges the year before and had her quilt shown at Quiltcon 2015 in Austin. I figured it was a great way to get my feet wet into the quilt show scene. 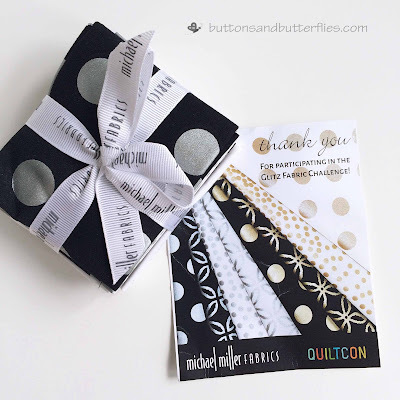 The free fat quarter fabric bundle arrived from Michael Miller and I instantly envisioned the ombré dots in my Twizzle pattern, but with more negative space. 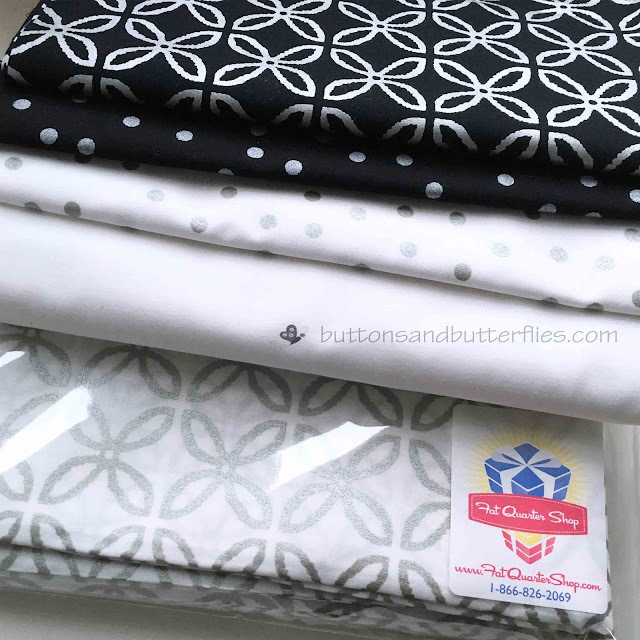 Here is the part most people don't mention...you still have to buy more fabric unless you are making a mini with the 5 Fat Quarters they send you. 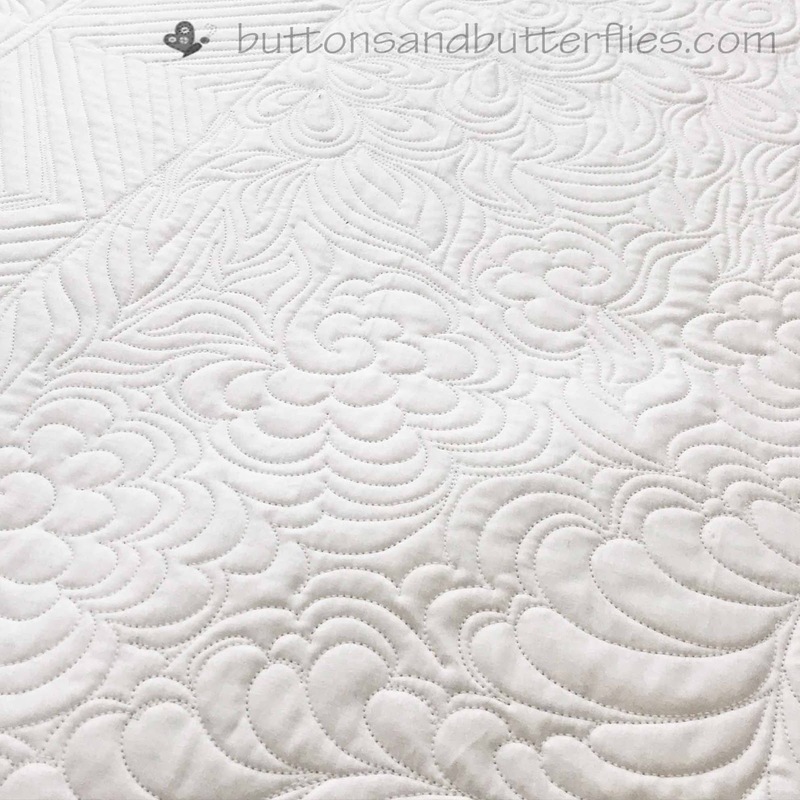 It was relatively simple to construct since I was leaving myself plenty of negative space to do some free motion quilting. I was very particular about how I quilted it. Based on the fact that I started without a plan at all. I constantly let myself go haywire and organic and then would confine myself to a geometric pattern. 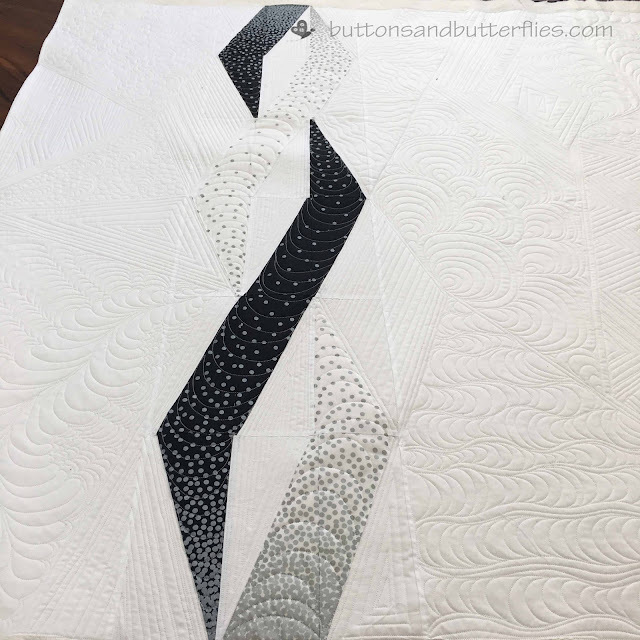 I originally had chosen black binding and had it prepared, but when I was finished quilting, I realized that I really wanted the white to just keep going. 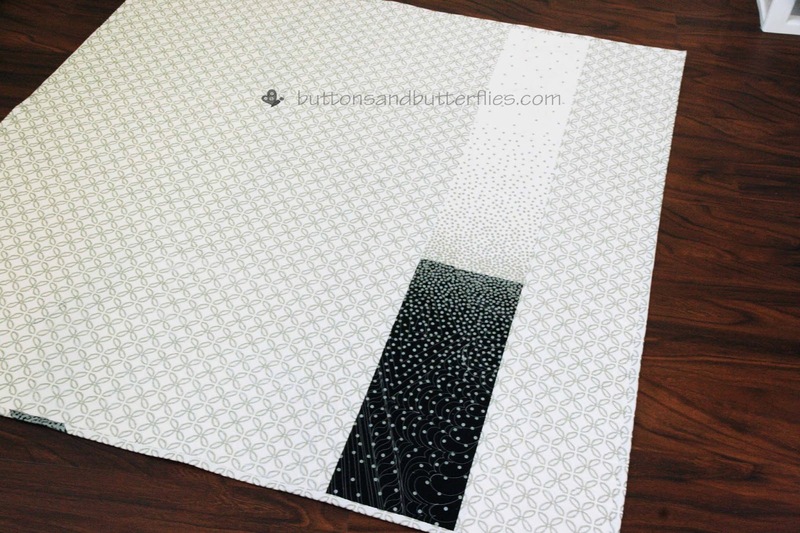 I had just enough backing fabric to make a white and glitz binding. 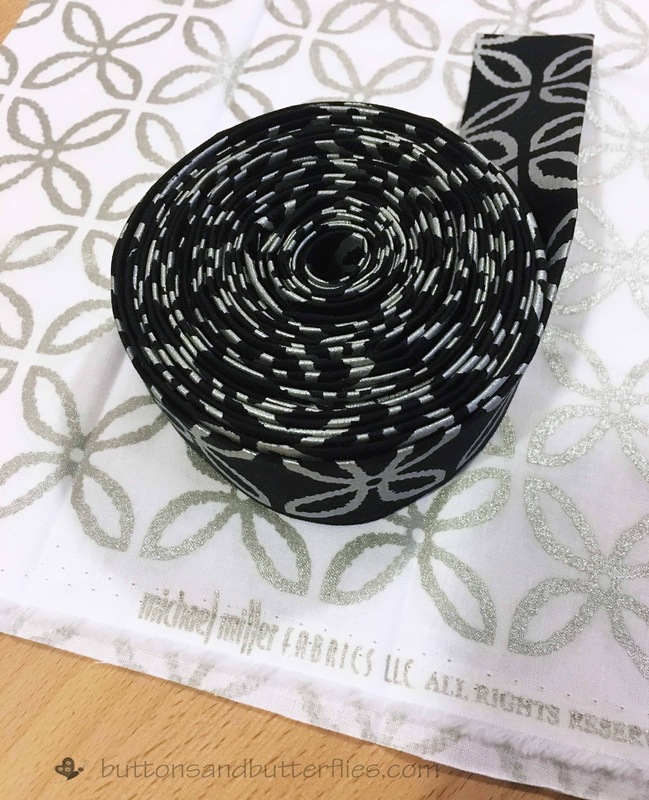 I still added black bits where the Twizzle met the binding. 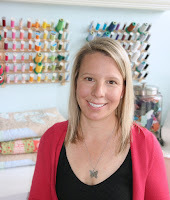 I didn't forsee myself using the fabric again, so I placed the remaining ombré cuts I had and placed them on the back with a coordinating glitz fabric. I was very nervous when I sent in myQuilt con entry form, along with my other Twizzle Quilt (Modern Traditionalism category). 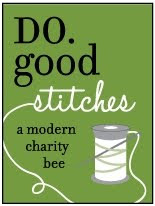 I was very shocked and delighted it was chosen for the show, however the Twizzle was not. I say 50/50 odds are prettty good for my first show! Unfortunately, there was a massive debacle and I wasn't able to ship it out by the shipping deadline through no fault of anyone but myself. Which meant it was going to hang as a display only and. Not be judged for the show. And actually? I was somewhat relieved by that. It took the pressure off of me so I could enjoy seeing it in the show. It was pretty surreal to see it hanging at the show. 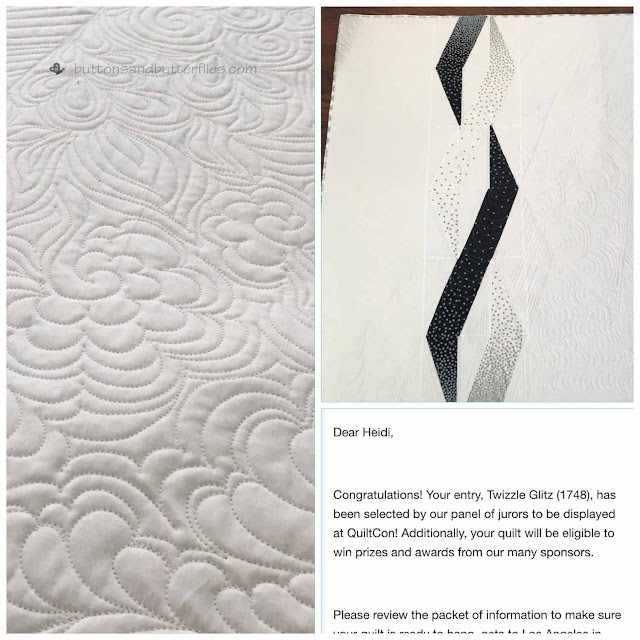 The one thing I have to say is that sending the quilt in to be judged to make into the show was a vulnerable moment. Very vulnerable. 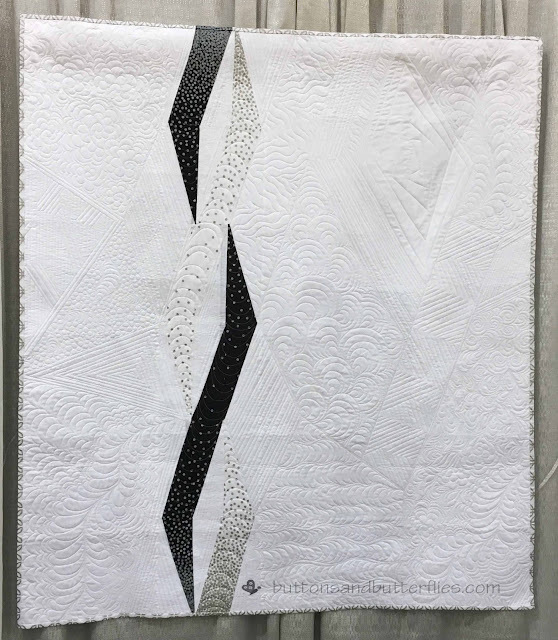 But seeing it hanging in the same space with so many other amazing quilts was terrifying. I felt like it just wasn't good enough. I felt embarrassed when someone would ask me if I had anything in the show. So the thing that I can definitely say is that it was a big step for me as a "artist". 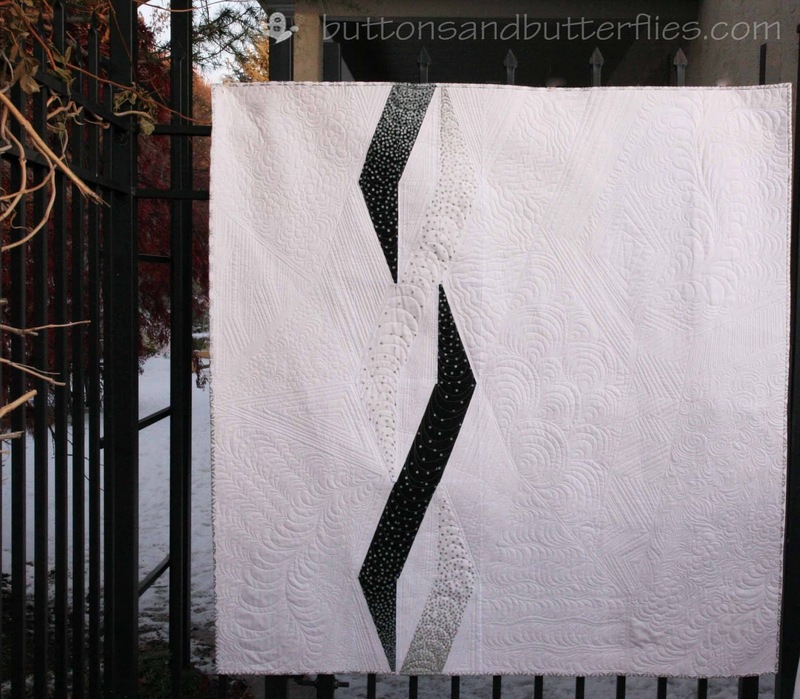 I hope this quilt was just the first hurdle I had to overcome. To make way for me to be more bold and enter quilts into more shows.